Launching a new business is exciting but often an experience where you feel you’re walking on egg shells. 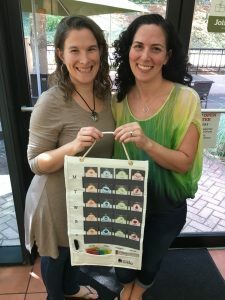 For Lani Preis and Marla Zafft their innovative, school lunch tool chick*u*do has to appeal to two audiences: parents and kids. That’s a pretty tall order. Lani and my paths have crossed many times in the Atlanta marketing world. When I learned about her new venture I was intrigued especially since chick*u*do is not a tech product but something that might be from a kinder, gentlier time. Over coffee Lani explained about how the ultimlate goal was to support parents in nuturing kids to be more self-relient, self-suffcient and that means having more self-confidence. From my point of view ~ that’s a pretty good thing. 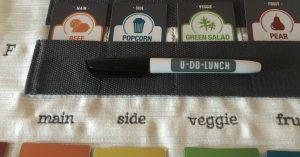 Diva Foodies: The main offering of chick*u*do appears to be a simple tool involving kids in planning their own school lunches. However the tag line “Hatching Independent Kids” implies it is so much more. Please tell us more about the bigger vision. Lani Preis, chick*u*do: Marla and I believe that children are active and contributing members of their households. When we engage our kids in the everyday processes, we teach them lifelong skills. At chick*u*do, we are starting with u*do*lunch as we believe it is a great launching point to engage parents and school-age children. As you indicated from our tagline, we are planning to do more than help kids plan lunches. We have plans for an entire line of tools well beyond diet and nutrition to engage the entire family. And our mission reflects this. 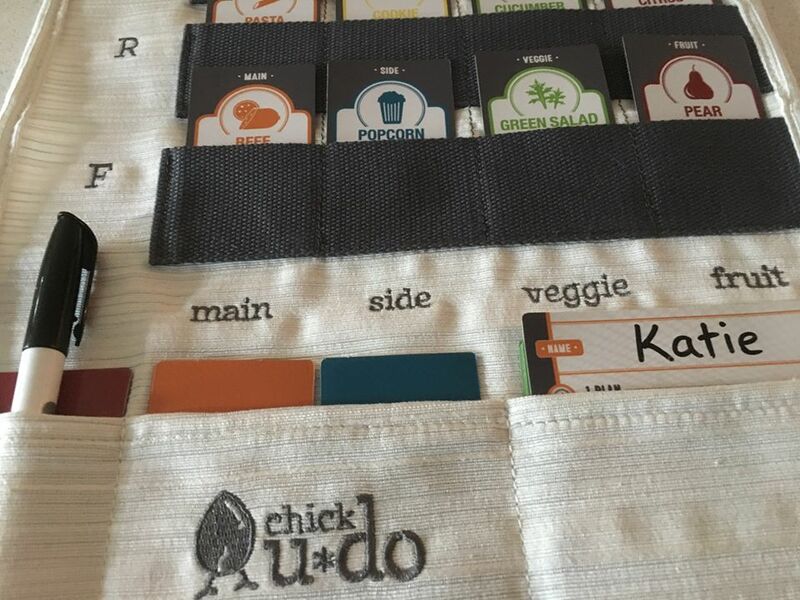 At chick*u*do, our mission is to improve family dynamics by providing well-designed, functional tools that encourage independence and empower children. We are inspired to develop responsible world citizens. 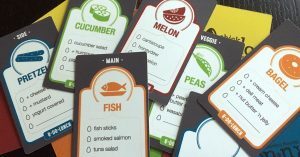 Diva Foodies: In this age when so many games and educational learning tools for kids are tech-based, why did you choose to develop chick*u*do with a more traditional approach? 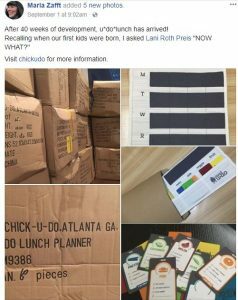 Lani Preis, chick*u*do: After testing existing tools on the market, which included use of technology tools, we found that the tactile ones helped our kids grasp the concepts and responsibilities. Physical objects serve as constant reminders of what needs to be done and the steps to do such tasks. Additionally, there is a lot of research on brain science that shows physical manipulation helps children’s brains integrate lessons they are learning. Lunch is an essential process (and a physical one) of the day – with maintenance of a physical environment being a real-life “work” skill. And high quality physical objects can teach kids how to interact with their universe, a thought-process consisted with Montessori methods and a resource to which we (the owners) frequently use. Don’t get me wrong, we also know and believe in introducing our children to technology so that they can also become good digital citizens. However, as parents ourselves, we believe it is incumbent upon us to teach balance, including between tech-based programs and physical ones. u*do*lunch’s physical manipulation allows kids to save their screen-time for other learning and entertainment activities. Diva Foodies: When we talked you mentioned that your own kids tested the product. What was their first reaction? And how do you maintain their interest in using chick*u*do on an on-going basis? Lani Preis, chick*u*do: My kids are always looking for solutions to their challenges. They have shown me that they rise to the occasion and welcome responsibilities. Learning to become independent thinkers and doers doesn’t happen overnight, and this was one incremental step to help them gain independence. 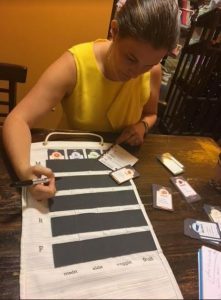 We have been using this system for over a year now, even while the official product was in development. I think the biggest lessons learned have come from their end: when they do not take ownership of the process, they may not like the results and do not have the authority to be upset. 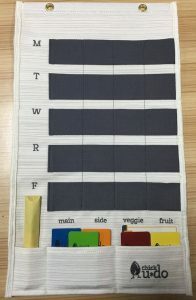 During the two different weeks that we were too busy to use this tool, their lunches were not what they wanted and they were both disappointed and less inclined to eat their full meal. To me, the biggest success is that they realize they have to engage in the lunch-planning and lunch-making process to be happiest with what they are getting! Diva Foodies: So we now know ‘what’s in it’ for the kids. But what are the benefits for the parents to use chick*u*do and continue to to use chick*u*do over time? Lani Preis, chick*u*do: Where do I begin?? Obviously, I am quite excited about this product since I have seen how it benefits my family. And more than teaching kids a single responsibility, it teaches them to take ownership of what they can and the results of not doing so (as I mentioned above). But as for the parents, Marla and I see this as an invaluable tool for the parents. When lunchtime is planned ahead of time, parents (or kids) can get 90% of lunch job done at night, saving time and headaches during the morning rush! I know for me, this has made me more willing to “pick up the slack” in the morning, especially when my kids have already done a majority of the work. In addition, we have seen that planning helps save money: grocery lists and shopping are more efficient and less is wasted. But ultimately, we believe this product provides more sanity all around. This helps parents help their kids succeed – it gets kids across the finish line all while having their own accomplishments! 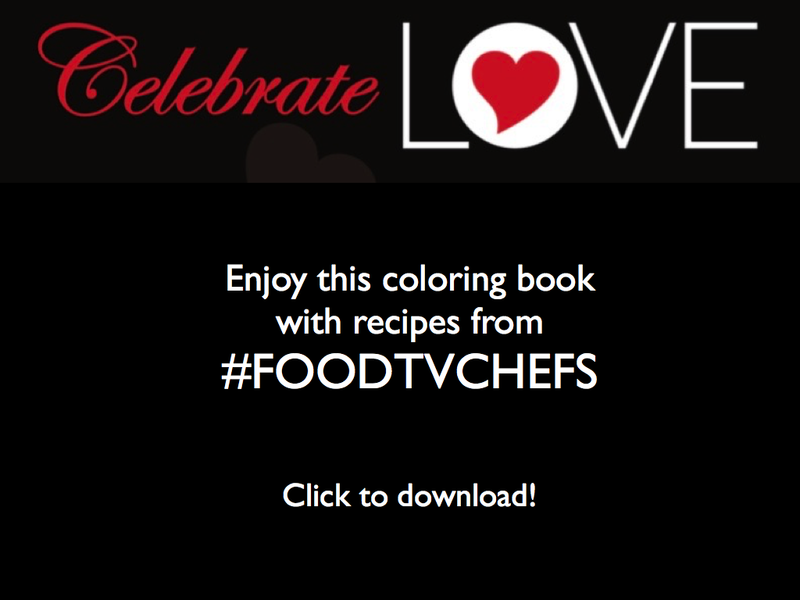 Diva Foodies: It’s exciting but challenging to launch a start-up especially one that supports the food world. What one tip would you give a person who wants to start a business? Why is this tip important to you? Lani Preis, chick*u*do: One tip? That’s perhaps the toughest question you’ve asked. I think I have to offer two tips: 1) believe in your product and 2) surround yourself with smart and positive people. Obviously, not every product and every company is going to be a success. But when you genuinely believe in what you are bringing to the marketplace, you have an authenticity that envelops you and helps make your case. Sure, we all want to make money. But when you are looking to do more than that (to change the world or the way people interact with it), the “sale” is far more genuine. And this leads to the next point, which is to surround yourself with smart and positive people. Once you believe in your idea, smart and positive people find ways to help make you a success. Note that I did not say to surround yourself with a “yes” man. They may not always agree with you, but they have your best interest at heart and will push you to build a better product, a better plan and a better you – while building you up (and not tearing you down). Turn to them and ask for help when you need it (which you will). Diva Foodies: The success of any business is convincing customers to making the cash register ring. Many factors go into the equation. A big one is marketing. Although chick*u*do is just out of the starting gate, where do you think you’ll begin your digital or social media efforts? Why choose those channels? Lani Preis, chick*u*do: Right now, our website is the hub. We offer online sales as well as the ability to sign up for our newsletter. We believe in creating a community around our mission and know that this is the best and most effective way to build this community. Plus, by handling sales directly, we are able to keep prices lower to offer what we think is a truly amazing product to people who need it. However, as we grow, we have plans to branch out first to Amazon and then to other possible retail outlets. As for our social channels, we are on Facebook and Pinterest for exactly those same reasons. We aim to be a resource for how to foster independence with children. We recognize that social channels help us in building community even if it doesn’t translate into sales, which we believe are crucial for the larger aspect and goals of marketing! 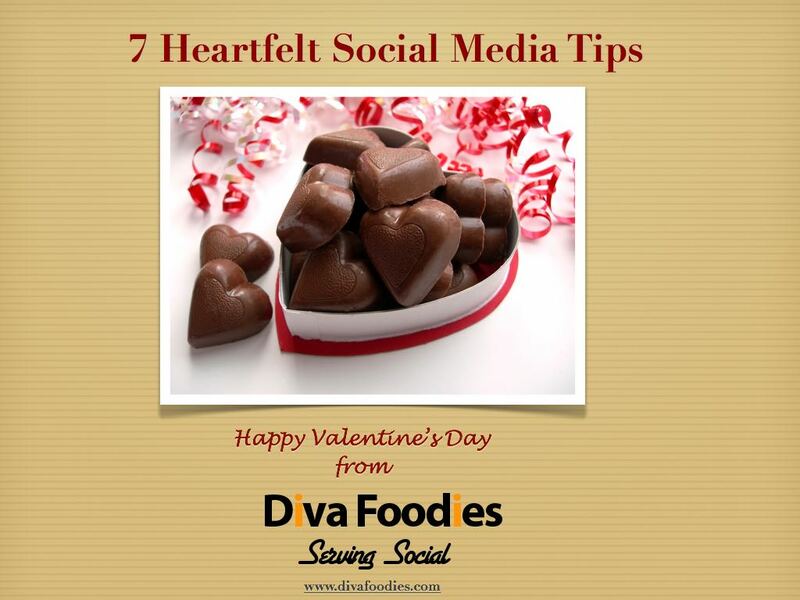 Diva Foodies: As is our traditional, we’re tossing the viral mic back to you. Wrap it up anyway you’d like. Lani Preis, chick*u*do: I’ll end the way I started: we are two moms trying to make a positive impact in the world by starting with children. We know what this product has done to help our families grow and know that it can have the same impact in others! At chick*u*do, we believe in the power of big ideas and simple solutions. Children are capable – and actually enjoy – contributing to their families!